A year since the plastic bag charge was introduced in England, how can environmental communications continue to create change? One year ago the law changed on single-use plastic bags in England. As a result, large shops, such as supermarkets, were required to charge 5p for plastic bags. The legislation made headlines with shop workers predicting chaos and a backlash from angry customers. But 12 months on, has the tax made any difference? 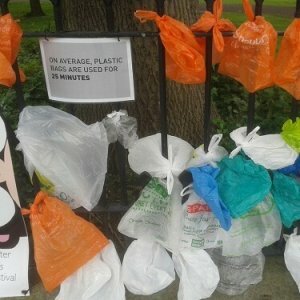 Plastic bag use plummeted by more than 85% according to government statistics released six months after the ban. And £70 million has been raised for good causes as a result of the charge. Meanwhile public support for the charge has risen from 51% to 62% in a year says the University of Cardiff. Looking back, the social fury whipped up in 2015 seems laughable now. Because a year on, taking a bag to the shops or having to pay 5p for one, feels completely reasonable. And so it should. Single-use plastic is one of the biggest environmental issues. 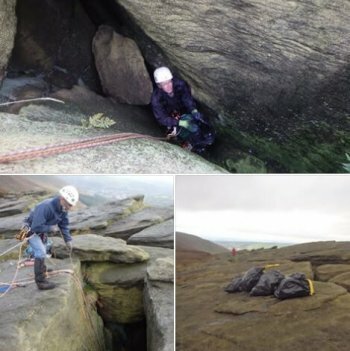 Andrew Pendleton of Friends of the Earth says: “It’s sadly undeniable that we have a cultural problem with litter blighting our beautiful countryside. Because the problem isn’t unique to plastic bags. 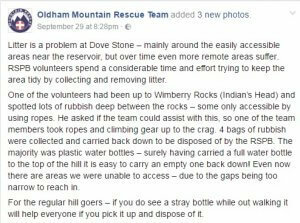 Oldham Mountain Rescue Team (Pelican Communication’s local mountain rescue team) recently highlighted the scourge of plastic bottles on the outdoors with this social media post. What else can be done to tackle plastic waste? With charges on plastic bags now the status quo, it’s time to turn our attentions to other single-use objects. The disposable coffee cup looks to be next on the agenda, in part to Hugh Fearnley-Whittingstall’s War on Waste. The TV chef hit out after it was revealed 2.5 billion “paper” coffee cups are being thrown away in the UK every year. We say “paper” because it’s actually plastic which is at the root of the problem. These single-use cups are coated in a small layer of plastic – polyethylene – which means the cup is not entirely made from cardboard and therefore cannot be recycled by most UK paper mills. As a result less than 1% of the 3 billion disposable cups used every year actually get recycled. 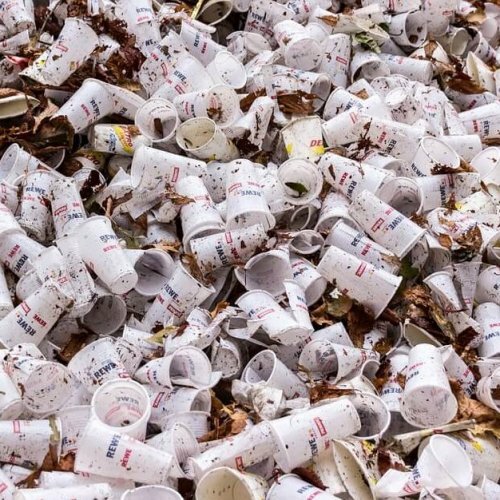 France has committed to ban disposable cups and plates by 2020, except those that are completely compostable. Most recently the UK government has announced it will ban microbeads – small pieces of plastic found in cosmetics and toothpaste – by 2017 because of their damage to the environment. Meanwhile the debate on coffee cups rages on. Manchester has launched its own coffee cup recycling scheme but there are also calls to introduce a 5p levy on single-use coffee cups. If the carrier bag charge has proved something, it’s that the public do accept (and in some cases embrace) change. Re-using plastic bags in the UK is now second nature for shoppers. And that one small word – re-use – is a fundamental key in solving the issue. 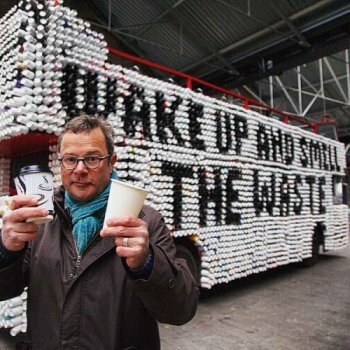 Hugh Fearnley-Whittingstall’s War on Waste is testament to the results of a well-executed communications campaign. Pelican too is proud to have played its part in tackling unnecessary waste. 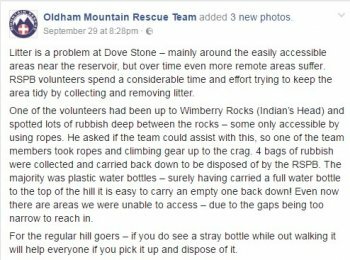 As a public relations and marketing agency which specialises in outdoors and environment, issues such as these are close to our heart. We have supported Klean Kanteen’s vision to provide sustainable alternatives to single-use plastic on behalf of our client Whitby & Co. From social media posts promoting its #BringYourOwn campaign to research and media relations – communications have a powerful role to play. Often the media (be that social or traditional) is the negotiator between the public and the state. Whilst the plastic bag charge was negatively rebutted by many, the public is now pro-actively calling for change on disposable cups. Is that because the story was pitched to us by bureaucrats vs the TV? Or is it because when it comes to single-use waste, we’ve all finally woken up and smelt the coffee? Either way, positive communications will deliver positive change.